Twenty years may not seem like a long time for a watchmaking brand, but in the niche field of independent brands, especially those that go against the grain, it is very much a long time. 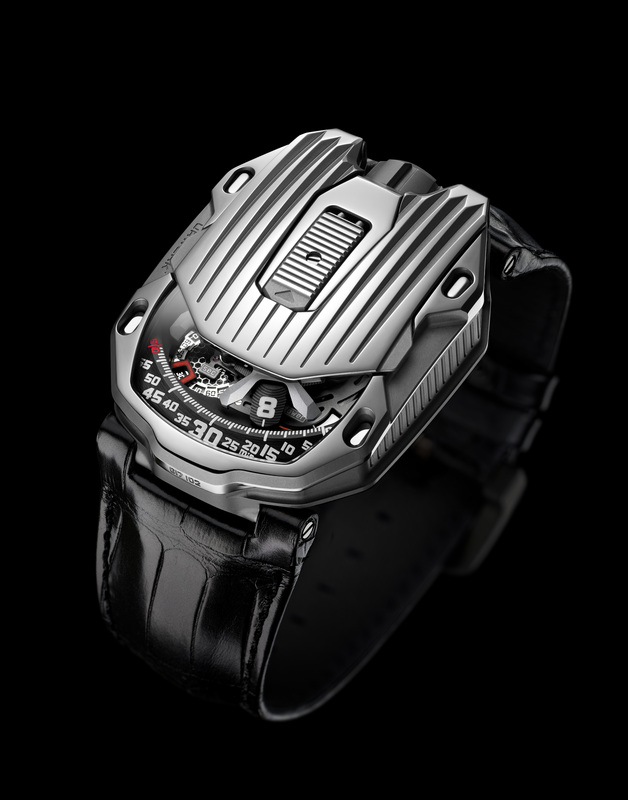 URWERK is now a well-established brand, a fact recognised by its inclusion in the SIHH, and Martin Frei and Felix Baumgartner have just launched a new piece to mark this 20 year milestone with the release of the UR-105 CT Streamliner. The UR-105 CT is both a celebration and a reminder of their beginnings, and the influence that the city of New York has had in both their lives, for it was two decades ago that Martin Frei moved there as a founding member of the United Swiss Artists (USA) Association, and that Felix Baumgartner first visited the city and Martin Frei. If you go to the URWERK website, you will see a timeline of their history. It is not just a really useful overview of when each model came out, but if you look at the year 1999, you will see that they mention the immense financial and emotional struggle they had to keep the brand alive for many years. 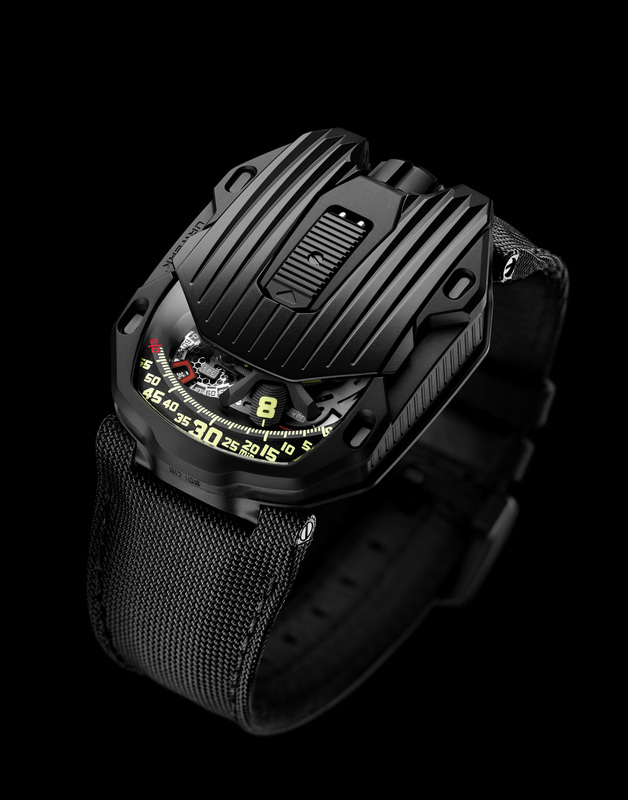 The UR-103.01, launched in 2003 and with a clear URWERK identity and design code that continues to this day, broke the drought for them. The UR-105 collection, which has a clear lineage to the UR103 pieces is where the Streamliner sits, and it is indeed a more sleek and ‘streamlined’ new sibling to its elders, with its octagon shape and deep grooves along its length, its inspiration New York Art Deco. 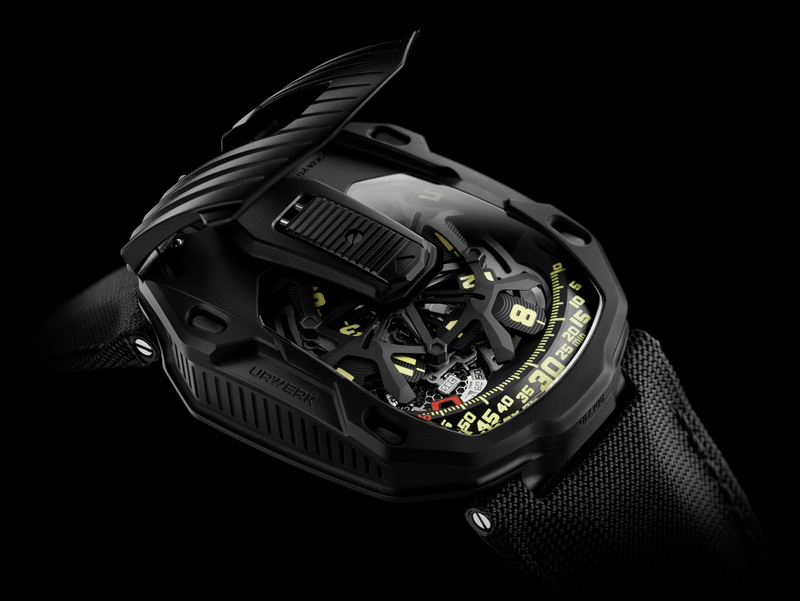 The 53mm long, 39.5mm wide and 17.3mm thick UR-105CT comes in two versions, titanium and mirror-polished steel, and titanium and black PVD coated steel. 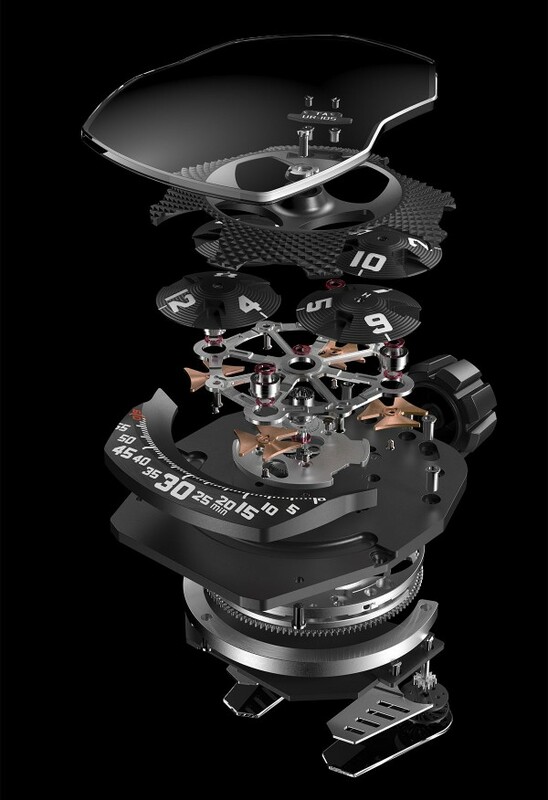 You have to slide the catch on the top of the case to reveal the reworked carousel, with a new wandering hour indication based on an openwork aluminium carousel which carries the four satellites, each with three numerals for the hours, and turning on Geneva crosses in beryllium bronze. The hours sweep past the minutes scale for an analogue and digital display of the time. There is also an open worked digital seconds. The carousel and triple base plates are in ARCAP, and you can see various type of finishing (circular graining, sanding, brushing) on this side. Also visible on the dial side are a power reserve indicator (forty-eight hours) and digital seconds make up the rest of the information displayed on the dial. Powering this is the automatic Calibre UR 5.03 with the winding system governed by twin pneumatic turbines visible at the back. 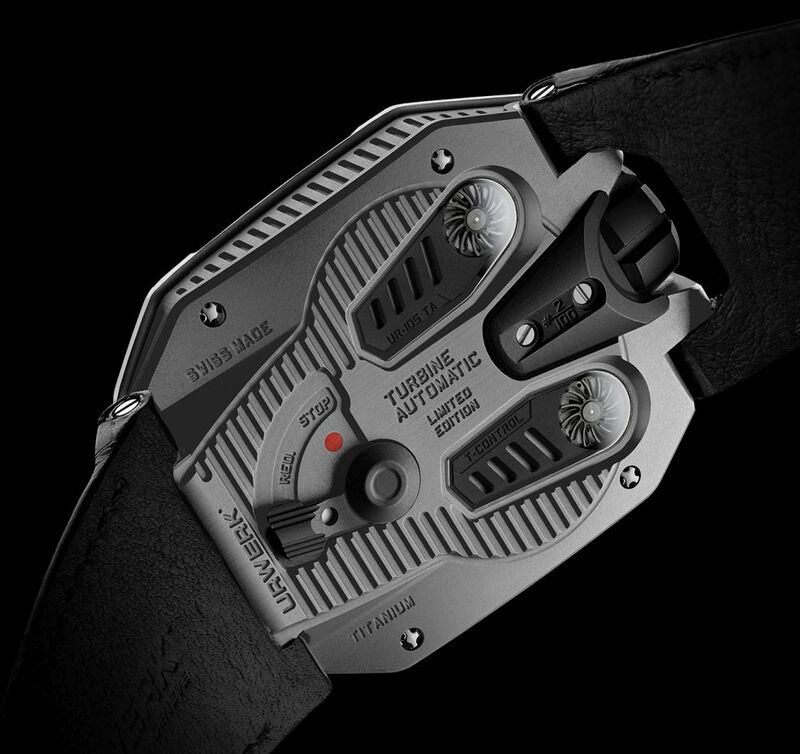 Here is where URWERK’s classic ‘interactive’ part comes into play, courtesy of a lever with which you can make adjustments. When in the FULL position, the slightest movement of the wrist is harnessed to rewind the barrel spring. You turn the lever to STOP to disengage the self-winding system and wind up the UR-105 using the crown. An intermediate position, RED (for reduced) engages the turbines to dampen the winding rotor and avoid over stressing the mainspring if the wearer is engaged in a lot of physical activity. As mentioned, there are two UR-105 CT Streamliner variants. Both have an RRP of 65,000 CHF (excluding tax).